OMG! 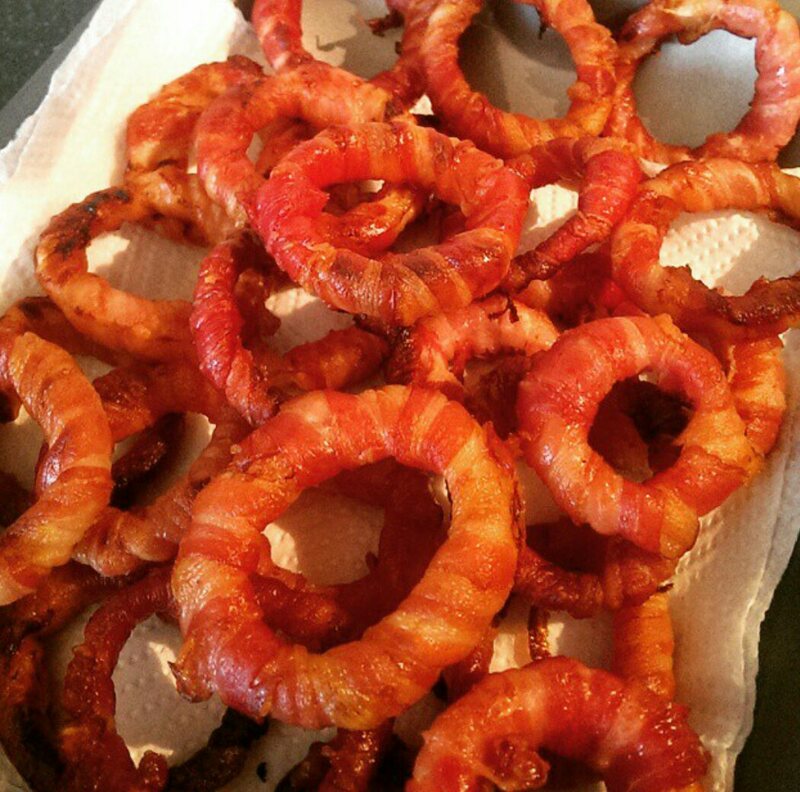 – Bacon Onion Rings! Prepare yourselves for the ultimate taste sensation! 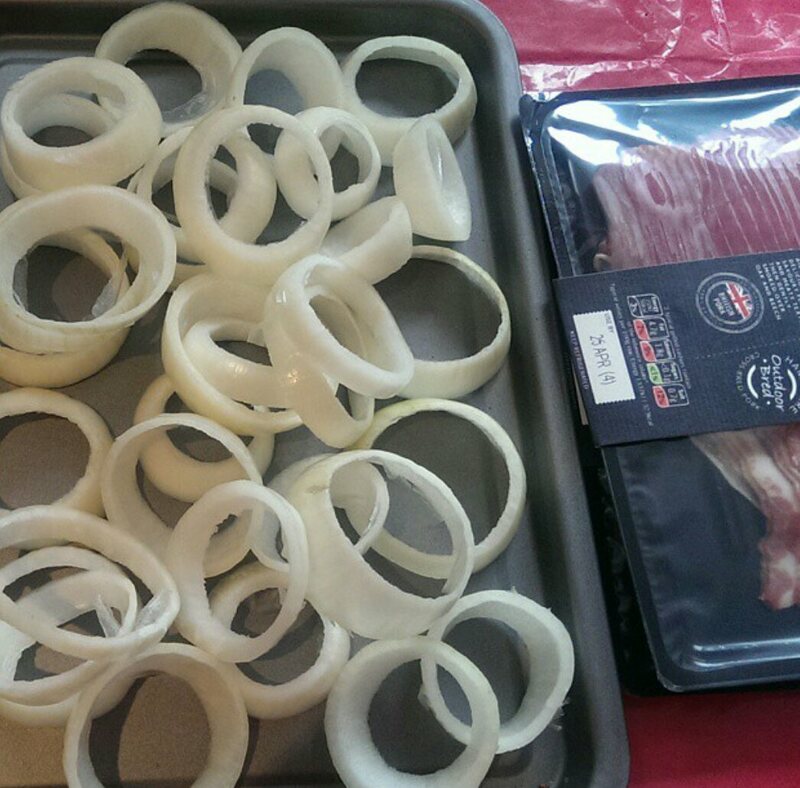 Wrap bacon around the onion rings. Bake in a hot oven for about 15mins until cooked and crispy. Next A Paleo Mexican Fiesta!